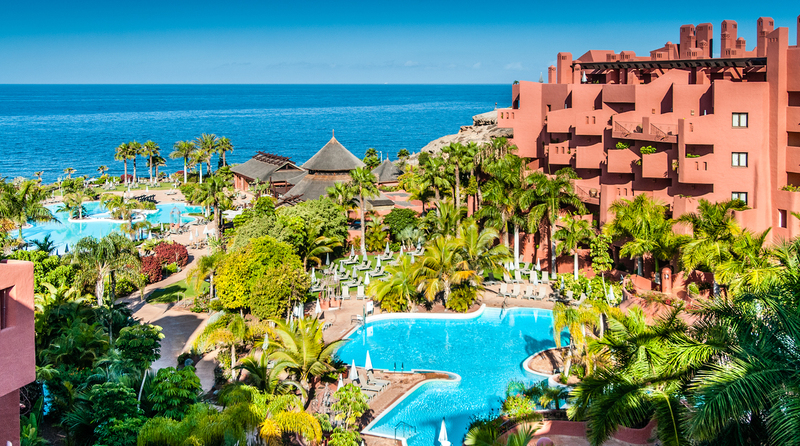 Strategically located in the exclusive area of Costa Adeje, Sheraton La Caleta offers direct access to the coastline promenade and the beautiful beaches of Playa del Duque. The hotel´s 284 rooms and suites create a comfortable and elegant environment, all with individual terraces or balcony. Enrich your stay by getting access to the Sheraton VIP Lounge. Try the delights of our four restaurants (International buffet, Japanese and Spanish dinner à la carte and Mediterranean lunch) and two bars. Stay fit at Sheraton Fitness and at our tennis courts or enjoy reduced Greenfees on all courses of the island. Spa Eutonos offering 1.800 square meters of relaxing facilities. Enjoy the magnificent seawater pool and two fresh-water heated pools in its subtropical gardens. Rethinking the way you connect and create, it´s ten meeting rooms with Wi-Fi, natural daylight and versatile spaces make every meeting productive. A peaceful resort for a relaxed vacation or dynamic meetings and events.